Pa O’wyer has dominated the Irish Strongman circuit for the past two years by winning consecutive Ireland Strongest Man titles. Winning this contest allowed Pa to compete against the best in the UK with the likes of Laurence Shahlaei and Tom Stoltman. 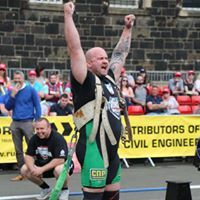 He used this as motivated to take on these giants of the sport over 13 events in Belfast and on the last event produced the goods to gain a spot on the podium of UK Strongest Man 2017 which has been his best performance to date. Pa is known for being the “Limerick Lion” and has the potential to be a success with Ultimate Strongman. 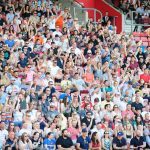 This year Pa plans to win the UK Strongest Man 2018 and win his Ireland Strongest Man title for a joint record 3rd time. 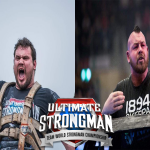 To see Pa compete in the UK Strongest Man book your tickets now on ultimatestrongman.tv or click on the link in this paragraph.